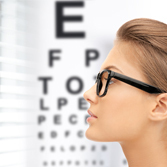 All of our online forms are devised to give Dr. Marilyn Kosier a view of your medical history and help the ophthalmologist comprehend your questions, concerns and goals regarding your eye and vision health. This information is essential, as Dr. Kosier uses it to better grasp your needs and provide quality care. If you have any questions, please do not hesitate to contact our office by calling 740-654-8424.